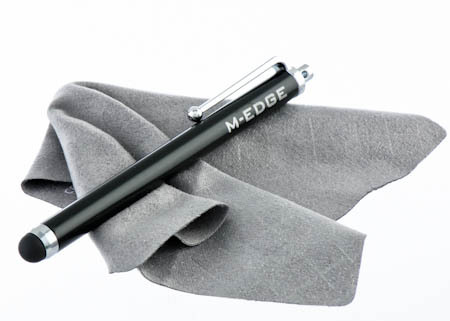 Unleash your device's full functionality and performance with our Stylus! 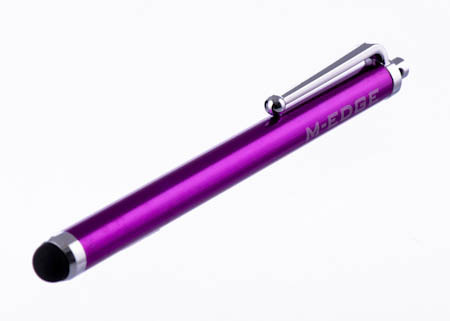 The stylus helps you navigate your device quickly and easily whether its take notes or playing games. My device 10" Tablet 7" Tablet 8" Tablet Galaxy 10.1 Galaxy 7 iPad 2 iPad 3 iPad 9.7 (2017) iPad Air iPad Air 2 iPad mini iPad Pro 10.5" Kindle Fire Kindle Fire HD 7" Kindle Fire HD 8.9" Nexus 10 Nexus 7 Nook HD Nook HD+ Nook Tablet Surface Surface Pro 10"
Brushed metallic finish and polished chrome accents that match the look of your cutting-edge device. 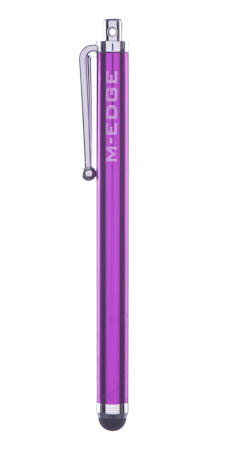 It is an awesome stylus to use but while waiting for my order, I found it for a lot cheaper same quality. They have excellent customer service and fast shipping but the stylus didn't make it on the 1st order but got it right away after calling. I have unfortunately found this same quality stylus for $1.99 on another site. I feel it is overpriced. I also feel it should have a protective cover for the tip and a lanyard to attach it to the Kindle. Other stylus of the same quality have these features and their price is significantly less. The stylus is exactly what the ad says. There's nothing cheap about this stylus. Right down to the last detail, it's very attractive and made to last. Love it. My IPad responds quicker and better with the Stylus rather than my finger, and the screen stays clean. Can't get any better. unfortunately while the stylus is super there is no cap to cover the tip with an attached lanyard to fit into the external earphone slot that would attach the stylus to the iPad. I learned after purchase other less expensive stylus have this feature - you should consider it. The description of the stylus is accurate, which means that it is a handsome little device that does it's job we'll. I use it much more than I expected to. Easy to handle but tip could be tapered for smaller areas. Great colors. Your stylus pens last so much longer than any other that I've used in the last two years. I love it. Easy to hold and soft tip will not damage the surfacr. Now playing games and sending msg is a breeze and I always (almost always) hit the right keys. Thank you. Just need to work out how to attach it to the iphone now. I bought these for my children to use on the Kindle Fire. The love being able to draw better pictures now. Easy to use and not any problems. I like it. It works fine. I was not sure if I would actually use the stylus very much. However, I use it every day! I even use it on my iPhone! It is a must-have!! The cloth is invaluable, too! Very responsive stylus. I use it a lot on my iPad mini and will be returning to order the black stylus. Great Price and ease of use. Cheap clip, but good pen/stylus. The pen/stylus works great. The clip on it is cheap plastic. It broke when I was taking it out of its wrapper. M- Edge was great and sent a free replacement immediately, even though I broke it. You can get one just like this for 99 cents at the 99 cent store. its not as fancy but it works just as well! I have not used it much yet. Works great on both my iPad and my Droid phone (Motorola Razr Maxx). My 5 year old loves using the stylus with my Kindle Fire. It makes the coloring apps easier to handle. Great design and beautiful color. Love the stylus, it matches the case quite well. Would have given five stars if the clip were metal and not plastic. I anticipate it snapping off soon. The pen is good to use with drawing/sketching apps. I had the stylus for 2 days before it broke. the tip came off completely. I dont know how but can only assume my kids did it. I think it broke too easily and as someone else stated it is over priced. Also it should have come with something to attach it to the case or the kindle. i was not happy with it! It still works, but within just a few days it had a hole in the tip.